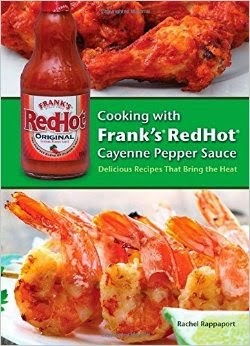 Hot Eats and Cool Reads: Cookbook Review: Cooking with Frank’s® RedHot® Cayenne Pepper Sauce! Plus a Recipe for Hot Ranch Fried Chicken! 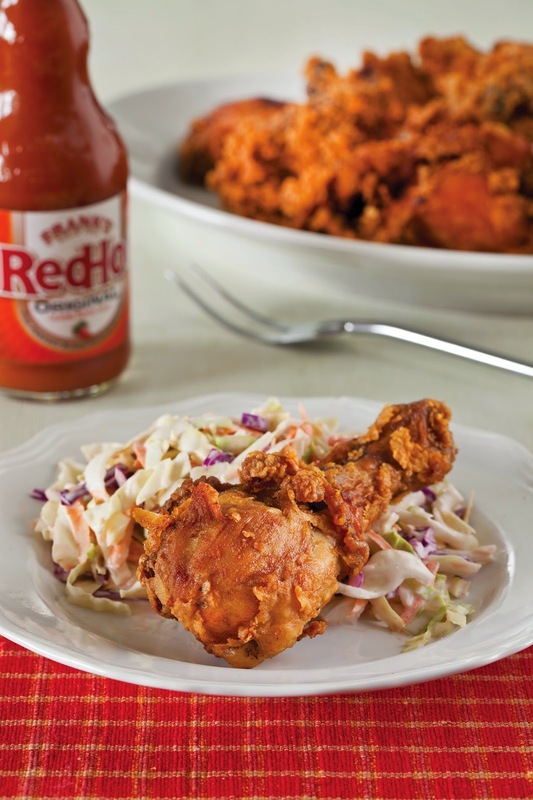 Cookbook Review: Cooking with Frank’s® RedHot® Cayenne Pepper Sauce! Plus a Recipe for Hot Ranch Fried Chicken! When it comes to soul food, I'm all about topping it with some hot sauce! I haven't cooked much with hot sauce in recipes, but after checking out this awesome cookbook, I now have tons of inspiration!! Cooking with Frank’s® RedHot® Cayenne Pepper Sauce by Rachel Rappaport is a beautiful hardcover cookbook. 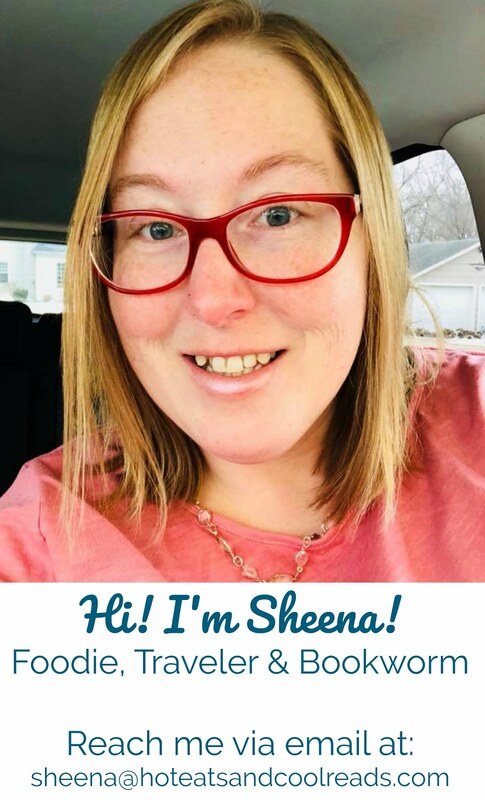 The recipes are all fun and creative, and there are 65 to choose from, even some sweet recipes! Well worth buying if you're a hot sauce lover! It would also make a great gift with the holiday season coming up! There are 144 total pages in this book with gorgeous color photos! I'm so excited to share one of the recipes from the cookbook with you today, thanks to Ulysses Press, the publisher! This Hot Ranch Fried Chicken sounds absolutely amazing, and it's going on my must try list soon! Fried chicken is such a classic recipe and I love that it's kicked up a notch with the ranch and hot sauce additions! It sure looks drool worthy! Be prepared to eat the best fried chicken of your life. The chicken is bursting with Frank’s® RedHot® Original Cayenne Pepper Sauce flavor, and the delicate, crisp crust has the wonderful flavor of ranch. Place the chicken pieces in a zip-top bag. Add the milk and Frank’s® RedHot® Original Cayenne Pepper Sauce to the bag, seal it, and shake gently to coat the chicken pieces. Refrigerate overnight. In a medium bowl, whisk together the Ranch Dressing Dry Mix, flour, salt, and pepper. Set aside. Drain the chicken in a colander. Discard the marinade. Dredge the chicken pieces in the flour mixture, coating the pieces on all sides, and arrange the coated pieces on a platter. After coating the chicken in the flour mixture, heat 1 inch oil in a 14-inch cast iron skillet to 350°F. Fry the chicken, in batches, until fully cooked and golden brown, about 15 minutes. Turn with tongs occasionally during cooking if the chicken pieces are not fully submerged in oil so that they brown on all sides. Drain the chicken pieces on paper towel–lined plates or on a baking rack placed over a baking sheet to catch drips. Serve immediately. Ranch dressing is a classic accompaniment to hot wings. Luckily, it is easy to make your own dry mix and keep it on hand for when you need it. In a medium bowl, stir all the ingredients together. When the ingredients are thoroughly combined, store in an airtight container. Will keep up to 1 year at room temperature. In a medium bowl, thoroughly blend 3 tablespoons of dry mix with 2 cups of sour cream. Let stand 30 minutes before serving to allow the flavors to blend. Refrigerate any leftover dip in an airtight container. Will keep up to 4 days. In a medium bowl, whisk together 11⁄2 tablespoons of the dry mix with 1⁄2 cup milk and 1⁄3 cup mayonnaise. Refrigerate any leftover dressing in an airtight container. Will keep up to 2 days. This cookbook is now available! You can find more info and purchase by using the amazon link below! Franks is my favorite hot sauce, this looks great! Thanks, Angie! Glad you stopped by!